His full name was Abu Rayhan Muhammad Ibn Ahmad Biruni. He was born in September of 973 in Khwarezm, Khorasan and died in another city of Khorasan, Ghazna. He was a Tajik scholar and scientist and one of the most outstanding figure and learned man of his age. He spent most of his life in another city of Khwarezm other than his birth city of Khiva. In reference to his place of birth place, Khiva, he was known as Biruni (outsider). He had an original mind of encyclopedic scope and was conversant with Turkish, Sanskrit, Hebrew and Syriac. He also wrote most of his work in Arabic rather than his own language, Dari, because Arabic was a medium of communication in the then Muslim World. Biruni was tremendously influenced at early age by the best local mathematicians and other scholars. 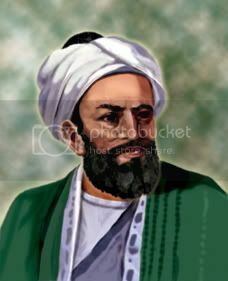 Al-Biruni, while still a student entered correspondence with the great philosopher Ibn Sina-e-Balkhi (Avicenna of Balkh). Some of Avicenna's replies are still preserved in the British Museum. Biruni had excelled in many fields of the knowledge of the day particularly in astronomy, mathematics, chronology, physics, medicine, and history. In those days it was common for scholars to seek the patronage of kings by attaching oneself to their court society. Biruni found such support in the court of the Samanid Sultan Mansur II until the end of the Samanid dynasty in the hand of Mahmoud of Ghazna. He was also entrusted with several important diplomatic missions during the Samanids but after the Samanids collapsed, he was led away to Ghazna where he lived the rest of his life there. The Ghaznavids were patrons of scholarly talents, and the Sultan Mahmoud appointed Al-Biruni to his court as official astronomer/astrologer. During this time Sultan Mahmoud was expanding his frontiers in every direction particulary to the south, India. The campaigns of Mahmoud to India opened an opportunity for Biruni to steep himself in the world of Hindu learning. In India, he shared his knowledge of Greek, Dari (Farsi) and Islamic knowledge with Indian scholars. In return, he learned Sanskrit which was a doorway for Biruni to a new intellectual world. In 1030, Biruni completed the book Tarikh al-Hind (History of India). Many scholars consider this masterpiece as the most important treatise on Indian history and culture before twentieth century. The degree of objectivity and details that is displayed in this book Tarikh al-Hind is without parallel for the time and it is still of great value to the contemporary scholars. He also completed another major book almost in the same time. It is the book called Kitab al-qanun al-Masudi fi l-hay a wa l-nujum (Canon of Masudi) and was dedicated to the Sultan Masud son of Sultan Mahmoud Ghaznavid. This book is the largest and most important of Biruni's mathematical, geographical and astronomical studies. His other famous books are Athar al-baqiyah (Chronology of Ancient Nations); at-Tafhim ("Elements of Astrology"); and Kitab as-Saydalah a treatise on drugs used in medicine. Biruni himself has claimed to have authored more than one hundred treatise of varying length in his life time. They include works on arithmetic, geometry, astronomy, ans astrology, a pioneering effort in mineralogical classification, and toward the end of his career, works on medical sciences. His collection of Indian and Chinese minerals, drugs, potions and other concoctions, still not systematically studied and may be of immense value to pharmacology. The Chronology of Ancient Nations is an unprecedented attempt to periodize the history of the known world y comparing and cross-referencing large numbers of chronologies and calendrical system. His work provides a basis for chronological studies which has yet to be fully exploited. His broad knowledge of astronomy and geography led him to the verge of modern scientific ideas. He believed that the apparent movement of celestial bodies are due to rotation of earth around its axis and also made accurate calculation of latitude and longitude. On the basis of reports of various flotsam found in the seas, He reasoned that the continent of Africa must be surrounded by water. It was a deviation from the popular Ptolemaic geography which was popular in the West and asserted the continent of Africa extended indefinitely to the south. On examining the Indus Valley, Biruni correctly guessed that once it had been a shallow sea filled in through the centuries by alluvial deposits from the river. Biruni also explained the operations of artesian springs and wells in terms of modern hydrostatic principles. He also determined with remarkable accuracy the densities of more than a dozen precious stones and metals. Ziquddin, Amad. "Al-Biruni." Islamic Culture 5/6 (1931/1932): 343-351, 363-369. Ziauddin reports on a 1928 interview with Edward Sachau, chief translator of the works, who called Biruni "the greatest intellect that ever lived on this earth." Abu Rayhan al-Biruni was born in Khwarazm, a region adjoining the Aral Sea now known as Karakalpakstan. The two major cities in this region were Kath and Jurjaniyya. Al-Biruni was born near Kath and the town were he was born is today called Biruni after the great scholar. He lived both in Kath and in Jurjaniyya as he grew up and we know that he began studies at a very early age under the famous astronomer and mathematician Abu Nasr Mansur. Certainly by the age of seventeen al-Biruni was engaged in serious scientific work for it was in 990 that he computed the latitude of Kath by observing the maximum altitude of the sun. Other work which al-Biruni undertook as a young man was more theoretical. Before 995 (when he was 22 years old) he had written a number of short works. One which has survived is his Cartography which is a work on map projections. As well as describing his own projection of a hemisphere onto a plane, al-Biruni showed that by the age of 22 he was already extremely well read for he had studied a wide selection of map projections invented by others and he discusses them in the treatise. The comparatively quiet life that al-Biruni led up to this point was to come to a sudden end. It is interesting to speculate on how different his life, and contribution to scholarship, might have been but for the change in his life forced by the political events of 995. The end of the 10th century and beginning of the 11th century was a period of great unrest in the Islamic world and there were civil wars in the region in which al-Biruni was living. Khwarazm was at this time part of the Samanid Empire which ruled from Bukhara. Other states in the region were the Ziyarid state with its capital at Gurgan on the Caspian sea. Further west, the Buwayhid dynasty ruled over the area between the Caspian sea and the Persian Gulf, and over Mesopotamia. Another kingdom which was rapidly rising in influence was the Ghaznavids whose capital was at Ghazna in Afghanistan, a kingdom which was to play a major role in al-Biruni's life. After I had barely settled down for a few years, I was permitted by the Lord of Time to go back home, but I was compelled to participate in worldly affairs, which excited the envy of fools, but which made the wise pity me. Exactly where al-Biruni went when he fled from Khwarazm is unclear. He might have gone to Rayy (near to where the city of Tehran stands today) at this time, but certainly he was there at some time during the following few years. He writes that he was without a patron when in Rayy, and lived in poverty. al-Khujandi was an astronomer who was working with a very large instrument he had built on the mountain above Rayy to observe meridian transits of the sun near the solstices. He made observations on 16 and 17 June 994 for the summer solstice and 14 and 17 December 994 for the winter solstice. From these values he calculated the obliquity of the ecliptic, and the latitude of Rayy but neither are particularly accurate. Al-Khujandi discussed these observations, and his large sextant, with al-Biruni who later reported on them in his Tahdid where he claimed that the aperture of the sextant settled by about one span in the course of al-Khujandi's observations due to the weight of the instrument. Al-Biruni is almost certainly correct in pinpointing the cause of al-Khujandi's errors. Since al-Khujandi died in 1000, we can be fairly certain that al-Biruni spent part of the time between 995 and 997 at Rayy. He must also have spent part of this time in Gilan, which is bordered by the Caspian Sea on the north, for around this time he dedicated a work to the ruler of Gilan, ibn Rustam, who had connections with the Ziyarid state. We know certain dates in al-Biruni's life with certainty for he describes astronomical events in his works which allow accurate dates and places to be determined. His description of an eclipse of the moon on 24 May 997 which he observed at Kath means that he had returned to his native country by this time. The eclipse was an event that was also visible in Baghdad and al-Biruni had arranged with Abu'l-Wafa to observe it there. Comparing their timings enabled them to calculate the difference in longitude between the cities. We know that al-Biruni moved around frequently during this period for by 1000 he was at Gurgan being supported by Qabus, the ruler of the Ziyarid state. 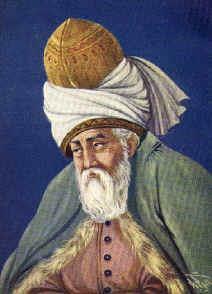 He dedicated his work Chronology to Qabus around 1000 and he was still in Gurgan on 19 February 1003 and 14 August 1003 when he observed eclipses of the moon there. We should record that in the Chronology al-Biruni refers to seven earlier works which he had written: one on the decimal system, one on the astrolabe, one on astronomical observations, three on astrology, and two on history. By 4 June 1004 al-Biruni was back in his homeland, for on that day he observed another eclipse of the moon from Jurjaniyya. Ali ibn Ma'mun had ruled over Khwarazm and he remained at the court when his brother Abu'l Abbas Ma'mun succeeded him as ruler. Both the Ma'mun brothers married sisters of the ruler Mahmud from the powerful state at Ghazna which would eventually take control of Abu'l Abbas Ma'mun's kingdom. Both Ali ibn Ma'mun and Abu'l Abbas Ma'mun were patrons of the sciences and supported a number of top scientists at their court. By 1004 Abu'l Abbas Ma'mun was ruler and he provided generous support for al-Biruni's scientific work. Not only did al-Biruni work there but Abu Nasr Mansur, his former teacher also worked there, allowing the pair to renew their collaboration. With Abu'l Abbas Ma'mun's support al-Biruni built an instrument at Jurjaniyya to observe solar meridian transits and he made 15 such observations with the instrument between 7 June 1016 and 7 December 1016. Wars in the region were to disrupt the scientific work of al-Biruni and Abu Nasr Mansur and eventually both left Khwarazm in about 1017. Mahmud was extending his influence over the region from his base in Ghazna and made a demand of Abu'l Abbas Ma'mun in 1014 to have his name inserted into the Friday prayers. This was a signal that he wanted an end to Ma'mun's rule and he was making a bid for the region to come under his control. After Ma'mun had at least partially agreed to Mahmud's demands, he was killed by his own army for what they considered to be an act of treachery. Following this Mahmud marched his army into the region and gained control of Kath on 3 July 1017. Both al-Biruni and Abu Nasr Mansur left with the victorious Mahmud, perhaps as his prisoners. ... at sunrise we saw that approximately one-third of the sun was eclipsed and that the eclipse was waning. He gives precise details of the exact altitude of various well known stars at the moment of first contact. The relationship between Mahmud and al-Biruni is interesting. It is likely that al-Biruni was essentially a prisoner of Mahmud and was not free to leave. However Mahmud's military excursions into India meant that al-Biruni was taken to that country, and there can have been few experiences that al-Biruni would have enjoyed more. He may have wished for better treatment from Mahmud but al-Biruni's scientific work certainly benefited. From around 1022 Mahmud's armies began to have success in taking control of the northern parts of India and in 1026 his armies marched to the Indian Ocean. Al-Biruni seems only to have been in the northern parts of India, and we are uncertain how many visits he made, but observations he made there enabled him to determine the latitudes of eleven towns around the Punjab and the borders of Kashmir. His most famous work India was written as a direct result of the studies he made while in that country. The India is a massive work covering many different aspects of the country. Al-Biruni describes the religion and philosophy of India, its caste system and marriage customs. He then studies the Indian systems of writing and numbers before going on to examine the geography of the country. The book also examines Indian astronomy, astrology and the calendar. Al-Biruni studied Indian literature in the original, translating several Sanskrit texts into Arabic. He also wrote several treatises devoted to certain aspects of Indian astronomy and mathematics which were of particular interest to him. Al-Biruni was amazingly well read, having knowledge of Sanskrit literature on topics such as astrology, astronomy, chronology, geography, grammar, mathematics, medicine, philosophy, religion, and weights and measures. See  for further details. Mahmud died in 1030 and he was succeeded by his eldest son Mas'ud, although not before a difficult political situation in which the two sons of Mahmud each tried to follow their father as ruler. Clearly al-Biruni was unsure who would succeed for he chose not to give a dedication in his India which appeared at this time. Better to have no dedication than to choose the wrong one! Mas'ud proved to be a ruler who treated al-Biruni more kindly than his father had done. If al-Biruni had been a virtual prisoner before, he now seems to have become free to travel as he pleased. Mas'ud was murdered in 1040 and succeeded by his son Mawdud who ruled for eight years. By this time al-Biruni was an old man but he continued his enormous output of scientific works right up to the time of his death. ... his bent was strongly towards the study of observable phenomena, in nature and in man. Within the sciences themselves he was attracted by those fields then susceptible of mathematical analysis. We have mentioned al-Biruni's astronomical observations many time above. It is worth noting that he had a better feel for errors than did Ptolemy. In  the author comments that Ptolemy's attitude was to select the observations which he thought most reliable (often that meant fitting in with his theory), and not to tell the reader about observations that he was discarding. Al-Biruni, on the other hand, treats errors more scientifically and when he does chose some to be more reliable than others, he also gives the discarded observations. He was also very conscious of rounding errors in calculations, and always attempted to observe quantities which required the minimum manipulation to produce answers. One of the most important of al-Biruni's many texts is Shadows which he is thought to have written around 1021. Rosenfel'd has written extensively on this work of al-Biruni (see for example , , and ). The contents of the work include the Arabic nomenclature of shade and shadows, strange phenomena involving shadows, gnomonics, the history of the tangent and secant functions, applications of the shadow functions to the astrolabe and to other instruments, shadow observations for the solution of various astronomical problems, and the shadow-determined times of Muslim prayers. Shadows is an extremely important source for our knowledge of the history of mathematics, astronomy, and physics. It also contains important ideas such as the idea that acceleration is connected with non-uniform motion, using three rectangular coordinates to define a point in 3-space, and ideas that some see as anticipating the introduction of polar coordinates. The book  details the mathematical contributions of al-Biruni. These include: theoretical and practical arithmetic, summation of series, combinatorial analysis, the rule of three, irrational numbers, ratio theory, algebraic definitions, method of solving algebraic equations, geometry, Archimedes' theorems, trisection of the angle and other problems which cannot be solved with ruler and compass alone, conic sections, stereometry, stereographic projection, trigonometry, the sine theorem in the plane, and solving spherical triangles. Important contributions to geodesy and geography were also made by al-Biruni. He introduced techniques to measure the earth and distances on it using triangulation. He found the radius of the earth to be 6339.6 km, a value not obtained in the West until the 16th century (see ). His Masudic canon contains a table giving the coordinates of six hundred places, almost all of which he had direct knowledge. Not all, however, were measured by al-Biruni himself, some being taken from a similar table given by al-Khwarizmi. The author of  remarks that al-Biruni seemed to realise that for places given by both al-Khwarizmi and Ptolemy, the value obtained by al-Khwarizmi is the more accurate. ... a collection of countless fragments of the nature of nebulous stars. Topics in physics that were studied by al-Biruni included hydrostatics and made very accurate measurements of specific weights. He described the ratios between the densities of gold, mercury, lead, silver, bronze, copper, brass, iron, and tin. Al-Biruni displayed the results as combinations of integers and numbers of the form 1/n, n = 2, 3, 4, ... , 10. 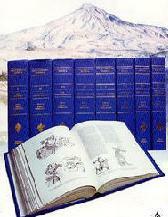 Many of al-Biruni's ideas were worked out in discussions and arguments with other scholars. He had a long-standing collaboration with his teacher Abu Nasr Mansur, each asking the other to undertake specific pieces of work to support their own. He corresponded with Avicenna, in a rather confrontational fashion, about the nature of heat and light. In , eighteen letters which Avicenna sent to al-Biruni in answer to questions that he had posed are given. 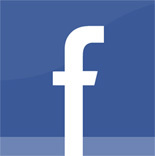 These letters cover topics such as philosophy, astronomy and physics. Al-Biruni also corresponded with al-Sijzi. The paper  contains a letter that al-Biruni wrote to al-Sijzi (translated into English in ) which contains proofs of both the plane and spherical versions of the sine theorem. Al-Biruni says were due to his teacher Abu Nasr Mansur. Finally we should say a little about the personality of this great scholar. 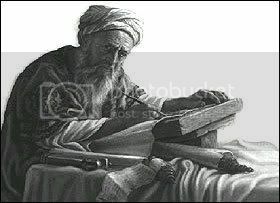 In contrast with the works of many others, we find out a lot about al-Biruni from his writings. Despite the fact that no more than one fifth of his works have survived, we get a clear picture of the great scientist. We see a man who was not a great innovator of original theories, mathematical or otherwise, but rather a careful observer who was a leading exponent of the experimental method. He was a great linguist who was able to read first hand an amazing number of the treatises that existed and he clearly saw the development of science as part of a historical process which he is always careful to put in proper context. His writings are therefore of great interest to historians of science. Upon my life, this is a noble philosophy, but the people of this world are not all philosophers. ... And indeed, ever since Constantine the Victorious became a Christian, both sword and whip have been ever employed. The Byzantines also eat food. Then do not imitate them in this!